Have you always been a little skeptical of skin clearing creams, gels and topical ointments because it seems that they only add to the problem of clogged, dirty pores? Especially if you are still struggling with acne years past your teenage years, you are probably ready to try something different. Clear Pure Complexion is a supplement that claims to work from the inside out, using the immune system to help clean the toxins and bacteria from your pores. Let’s take a closer look at this formula and see if it can perform as promised. Clear Pure Complexion is made with all-natural ingredients meant to produce effective results with the fewest side-effects possible. Included in this formula are a number of vitamins, minerals and botanicals that work synergistically to create a clearer complexion in as little as four weeks. 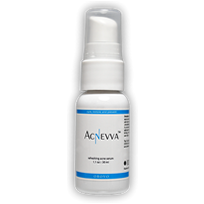 Zinc that works with the immune system to cleanse the toxins and bacteria from the body. 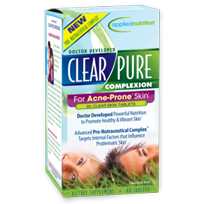 Fortunately, as promised, Clear Pure Complexion delivers a side-effect free formula. Furthermore, the delivery is high quality. It comes in gel capsules so that it is easy to swallow, is available in both online and in store locations and is can be purchased for as little as $15. 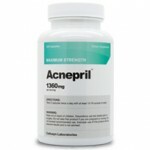 There is no proof that this formula can actually provide the acne cure you have been looking for. Not only are there no clinical trials or research studies, we have also been unable to locate any consumer reviews to provide additional proof that Clear Pure Complexion works as promised. In addition to a complete lack of evidence, we found no product guarantee and fear that with the suggested 4-12 week turnover period you may have to purchase additional product before you will know for sure if Clear Pure Complexion will work for you. As you can probably assume, we have little reason to recommend this product to you. We believe that in order to receive a good recommendation, a product should have at least a little evidence available that consumers can trust it to work as promised. 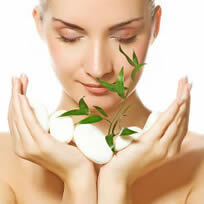 We would stay away from Clear Pure Complexion until more information is made available to the public.